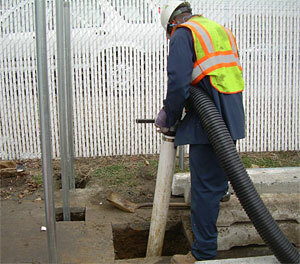 AWT performs many industrial & facilities maintenance services which have an environmental component. All manufacturing, assembly & processing plants, health care & educational institutions & utilities involve the use of chemicals & oil-related products. These often warrant environmentally trained workers & the proper equipment to ensure that these tasks are safely & properly performed to prevent & control associated hazards. Further, it is also critical that a company that seeks to understand your business & its unique needs provide these services, so that your organization runs smoothly. Quality, timeliness & cost must all converge so that your product or service is produced & delivered to your customers with excellence, thus increasing your bottom line.